Jake talks to Cyndi Lauper on her country music "Detour"
Emmy, Grammy, and Tony-winning singer-songwriter Cyndi Lauper is heading to Nashville for her latest record. Detour is the “True Colors” singer’s eleventh studio album, and it also marks her first full-length country music record. To celebrate this particular project, Lauper recruited one of recording industry’s most illuminated figures. As Lauper began the early stages of the recording process, Stein delivered several songs that he thought would be perfect fits for Cyndi’s iconic voice. Most of the tracks that Stein sent shared one common thread. When Ms. Lauper wanted to record Rosalie Allen’s arrangement of the Patsy Montana track, she faced a challenge; the “Girls Just Want to Have Fun” singer could not yodel. Despite Lauper’s peers encouraging her to follow Peter Gabriel’s footsteps of learning to yodel, she had other ideas. “Everyone told me that Peter Gabriel learned to yodel in three days, but I am so not Peter Gabriel.” Stated Lauper. With the help of friend and Detour collaborator Allison Krauss, Lauper was able to get a hold of one artist that was able to yodel and participate in the recording process: singer-songwriter Jewel. In addition to “I Wanna Be A Cowboy’s Sweetheart,” Lauper recorded rockabilly queen Wanda Jackson’s “Funnel of Love,” Guy Mitchell’s “Heartaches by the Number” and three additional duets: the title track with Emmylou Harris, “You’re the Reason Our Kids Are Ugly” with Vince Gill and Willie Nelson’s “Night Life,” which she recorded with the music legend. The two-time Grammy winner will be promoting the album on her 14th concert tour. 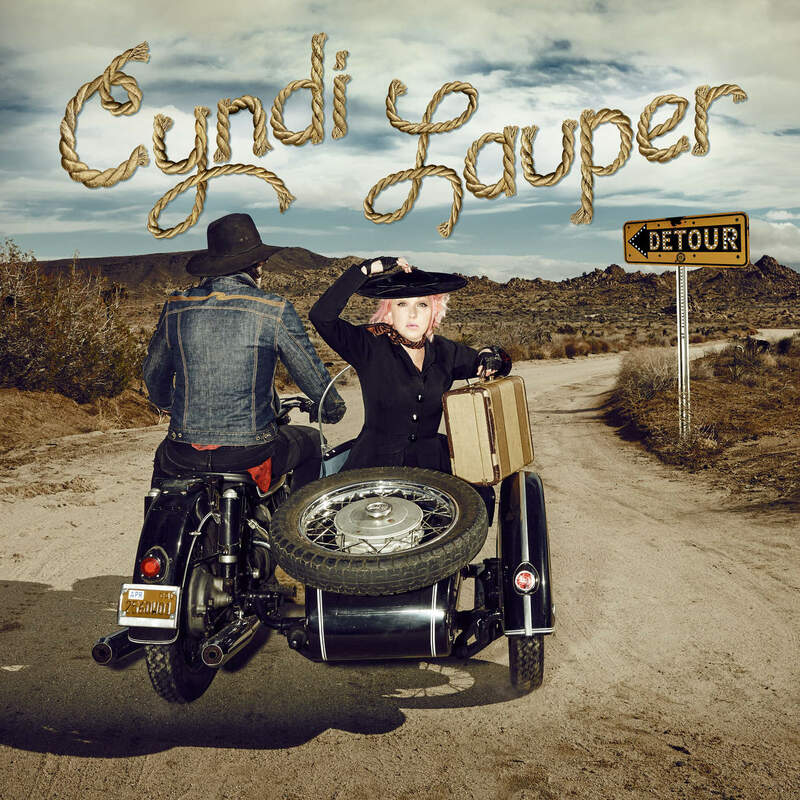 For the Detour tour, Cyndi will be traveling across North America in Nashville, Chicago, Boston, Kansas City, New York City and Los Angeles. She will also perform in Europe with several concerts scheduled in France, Italy, and the United Kingdom. For several dates on her tour, fellow 80s icon and Voice UK coach Boy George will be opening up for her. While the Detour tour is scheduled to kick off May 9 in Nashville, the album is planned to be released on May 6.